OpenSCAD - puzzlecutlib rendering problem & STL export error Current top level object is empty. puzzlecutlib rendering problem & STL export error Current top level object is empty. Hoping some one can help me out. I did search for this error, and did find other people with similar problem but no real solution that applies to my problem. I have downloaded puzzlecutlib.scad from thiniverse in order to cut up an stl model that is slightly too big for my 3D printer. I was able to get the puzzle cut where I wanted it after a bit of tweaking of the code. Including changing the "child" statements in the library file to "children" to eliminate one error. I also modified the puzzlecutdemo2.scad and added translate([70,0,-22]) at the bottom of the code that imports the stl because the model was importing in the wrong alinement with the puzzle cut. "Current top level object is empty. " when trying to export as STL. Re: puzzlecutlib rendering problem & STL export error Current top level object is empty. Your STL is probably invalid, check it with Netfabb Basic, or share it here. The F6 is cached, so you don't get the error again unless you clear cache or exit/rerun OpenSCAD. (a flaw IMO). Object is empty because F6 failed. 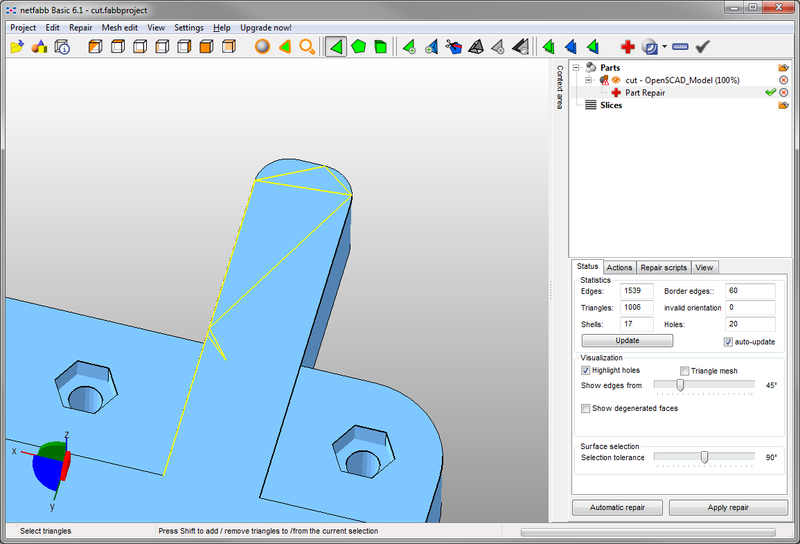 The stl file I am trying to use the puzzlecut plugin on originally came from netfabb. So the stl should be valid. I'll attach all the files I am using below. Hopefully you can see the error. I don't see the problem, but then again I'm fairly new to OpenSCAD. I even asked the author of the plugin, but he has not posted anything on his block for nearly a year. So seems like he is MIA. Thanks. Well the STL doesn't show any issues in Meshlab or Netfabb Basic. Causes the error. So CGAL doesn't like it. The error '->plane()).is_degenerate() ' points to degenerate faces, but these usually are detected by Netfabb. Meshmixer says it has repaired the file, but unfortunately it doesn't tell what it did or what was wrong. So I ran it thru Netfabb online and it now works. Current top level object is empty. As you can see I am still getting the CGAL error along with the object is empty error when I try to export. 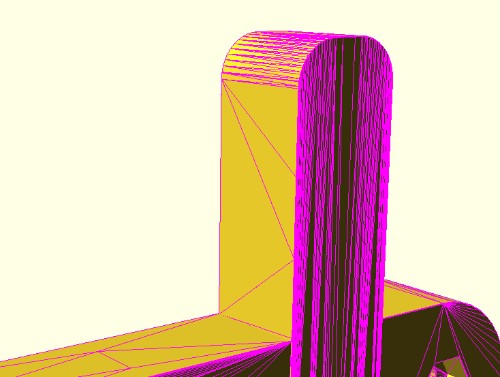 I should mention I am using OpenSCAD version 2015.03-2. And I'm on a 32bit version of windows. Did you try exporting the part with the puzzle cuts to stl? Or did you just run the unmodified stl through netfabb online? As you can see I am still getting the CGAL error along with the object is empty error when I try to export. Well you're getting different CGAL errors. The object will always be empty with CGAL errors. Did you try exporting the part with the puzzle cuts to stl? Or did you just run the unmodified stl through netfabb online? I ran your STL thru Netfabb online, then used it with my code above, to confirm that the error '->plane()).is_degenerate() ' was fixed. which I don't recall seeing before. So this is now beyond me. Can someone else have a look. Fixed STL is above. Thanks for the old college try. Seems like I've spent way too much of your time and mine on this. What should have been a quick cut and export is turning into a week frustration with no end in sight. Maybe you could recommend another piece of software that would let me quickly break an STL into two interlocking pieces? I have only two more parts this one and one other to print so I can complete my project. And this problem preventing from moving forward. I was about to say "How much strength do you need? You could glue them. With ABS two pieces joined with acetone are melted into one piece." but I tried a simple split which failed too. It is a problem with the STL, I suspect other tools may have a problem too. There are CAD tools you could use, but I'm not up to date on the best for this. 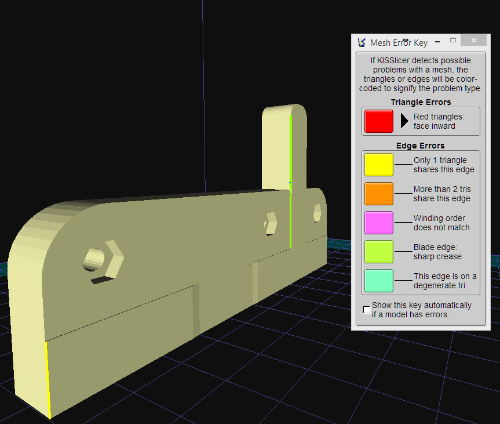 You could export the makePuzzleStamp(cutLocations = cut); shape then try a boolean in the CAD program. I thought about gluing the parts together, but I don't think that would work very will with PLA. The parts are for the Cyclone PCB Factory. Basically a mini milling machine for PCB's and other light materials like acrylic wood etc.. The parts are for the X axis, so they need to be solid enough for left-right motion and to support a Dremel on top. An interlocking cut would make the two parts stronger than just glue. I suppose I could screw them together. It just would have been so much more elegant to be able to make the puzzle cut. You would think this problem comes up frequently enough that some of the major 3D software publishers would have a built-in solution for when a part is too big to print. This repaired version seems to work. With Michael's version I got the error message but instead of an empty object I got something that looked like the original. I exported that and repaired it in Netfabb. That version will then cut with Michael's test. when a part is too big to print. I replied with a version that works but it is blocked for being too long. It made it to the forum though. I just approved it, but didn't see it in the forum, but in the mailing list. Hence above forum post, which seems to have worked. So, what does a 'blade edge' mean? > It made it to the forum though. I just approved it, but didn't see it in the forum, but in the mailing list. Hence above forum post, which seems to have worked. I used OpenScad 2015.05.16 (git e673fff). Yes it came from your td17440_Cycl_XleftFrame-base_cut_fixed.stl. Netfabb doesn't show any errors in that but once it has passed through OpenScad / CGAL it shows 20 holes and 17 shells. "blade edge sharp crease" is what it says and mostly results from numerical errors. (Almost) degenerated triangles will most probably not show up as 'desired' in the sliced path. A closer look at the triangulation (CTRL+1) unveals what has happend. Kisslicer indicates those errors, but silently gets around most of them. Redness of colors indicate severity of errors. Nophead loaded that STL saying above "This repaired version seems to work. With Michael's version [aka the ...fixed.stl] I got the error message but instead of an empty object I got something that looked like the original. I exported that and repaired it in Netfabb. That version will then cut with Michael's test.". I just loaded his STL after his post got held up, as I'm an Admin. I just tried to reproduce what he did and can't get the same result (tho not using his exact version). The STL still gets the error, and Netfabb doesn't show any issues.